Coffee shops have sprouted up all over like mushrooms after the rain, and when we talk about coffee shops, the first thing that comes to mind is Starbucks. While some see them as a corporate “evil,” there is no denying that Starbucks is arguably the most popular coffee shop chain in the world. They’ve had their own share of struggles, and in an effort to widen their customer base yet again, Starbucks is now offering more than the usual fare: free Internet. Over the years, coffee shops have become synonymous with laptops and all sorts of mobile devices – and that means Internet access as well. However, the Internet access in Starbucks stores as it currently is is quite limited. You need to have a Starbucks loyalty card, and having one does not automatically mean you can surf all you want – it just gives you 2 free hours of Internet. Here’s the question: will this change entice you to camp out at Starbucks if you don’t normally do it? 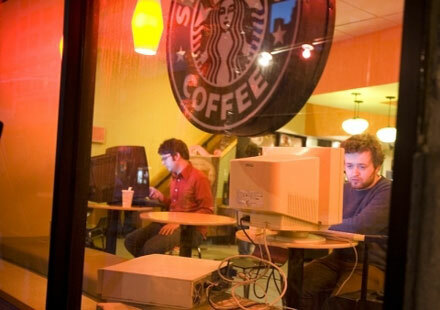 Will free Internet affect your choice of coffee?